The 2018 season was one to remember for the West Linn boys soccer team. The Lions played their way to a share of the Three Rivers League title, put together a 4-1-1 TRL record and an 11-3-3 overall mark, then won their first two playoff games to earn a berth in the Class 6A state quarterfinals. There, facing third-ranked David Douglas, the Lions rallied from a two-goal deficit, closed within 2-1 in the final four minutes, then created three dangerous chances down the stretch that very nearly sent the contest into overtime. 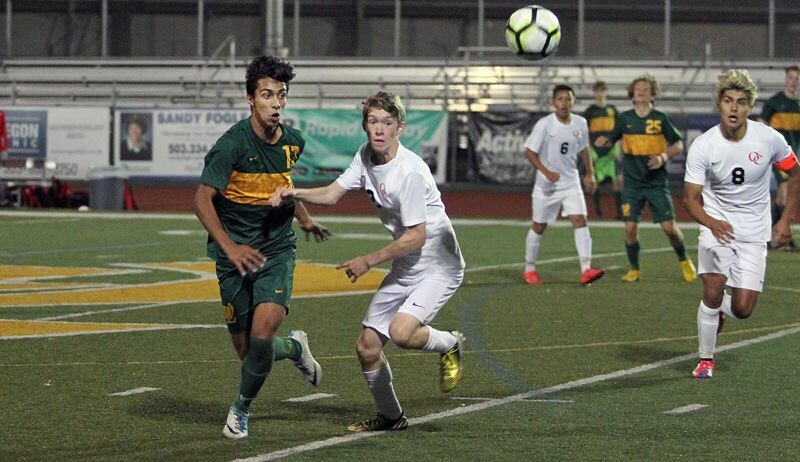 While David Douglas ended West Linn's season, it couldn't steal the luster from the Lions' successful bounce-back season, one that followed last year's 1-4-2 TRL campaign. In response, nine Lions were honored on this year's Three Rivers League all-star teams, that group led by a trio of first teamers — junior defender Michael Phillips, senior midfielder Abdul Ali and senior forward Gavin Tinsley. According to West Linn coach Travis Roth, Ali — a team captain — "was the vocal leader on team during games and practice. He set tone and got the guys on board." Tinsley, meanwhile, was the team's leader in both goals and assists this year. "He is a true goal scorer," Roth said. "Anytime he got the ball to his feet within 20 yards of goal, you felt like he might score." For his part, Phillips held things down in the back of the Lions' defense, a group that was the best in the Three Rivers League in 2018. "(He was the) leader at center defense," Roth added, "one of the reasons we only conceded nine goals leading up to playoffs." Senior midfielder Garrett Jackson won a spot on the all-league second team, while honorable mention selections included sophomore goalkeeper Caden Kesselring, senior defender Garrett Wiancko, senior defender Adam Beyer, senior midfielder Matt Kurtin and freshman forward Luke Tinsley.